In a remote place of quiet tranquility and almost surreal natural beauty, where the slopes of Ben Cruachan fall into the clear waters of Loch Awe, there is a small, luxurious and wildly romantic old country house hotel. Imagine a place where delightful accommodation, mouth-watering cuisine and attentive, personal service are united in a breathtaking backdrop of ancient woodlands and rugged mountains on the unspoilt shores of Loch Awe. Imagine returning from a bracing country walk to a relaxing haven far from the hustle and bustIe of the modern world. Imagine warming yourself beside a crackling open fire with a dram of the finest local malt. Imagine dining on mouth-watering food crafted from the freshest local ingredients. Imagine no more - come and experience all this and more with us at Ardanaiseig, one of Scotland’s most magical and memorable hotels The Hotel Occupying a rambling 19th Century manor set in 240 acres of gardens and woodland on the shores on Loch Awe and surrounded by some of Scotland’s most unspoilt and dramatic Highland scenery, Ardanaiseig is a luxury 4 star hotel centred around a grand drawing room, bar and restaurant. Accommodation comprises 2 self contained houses, 6 master loch view, 6 master garden view, and 4 standard garden view double rooms. Offered Everything, Refused Nothing While we recommend that the best use of your time at Ardanaiseig is spent in a near catatonic state of über relaxation, for the hyperactive we provide a wide range of activities from walking to cycling or horse riding; from angling to clay pigeon shooting or a relaxing massage. 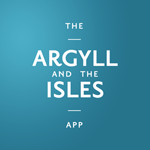 Ardanaiseig is also the perfect base for exploring the many sights and attractions of Argyll independently or on a personalised tour. Unfortunately, TripAdvisor reviews for Ardanaiseig Hotel have not been added to this listing, or the information is not currently available.